The system of Yoga is an ancient tradition that has been passed down from master to student orally for thousands of years. Many moons ago you could not study to become a yoga teacher. You would instead commit your life to being a yoga student and when your master believed that you are ready you were told that you MUST now share yoga with others. We have come a very long way since this spiritual tradition was passed down orally to a select few who renounced their family and society in order to become a yoga master. Today you can complete your Yoga teacher training in almost every yoga studio in the world and without many years of experience, you can obtain a certificate to teach yoga in the community. If we see this through a positive lens then we will see that the more yoga teachers there are, the more people may be enticed to practice. The spread of this incredibly Therapeutic practice is undeniable good however what is not so obvious unless you have been practicing and teaching yoga for a long time is that even though there are many yoga styles and techniques the fundamental goal of yoga should be the same…To prepare the body and mind to sit in meditation as a daily practice that will begin to shape the way we experience life and act in the world. This is a pathway towards greater balance, freedom, and energy for living. OM People Yoga was founded after almost 30 years of combined yoga and meditation practice by Josh and I. After many years of teaching we began to see many of our long-time students undertaking teacher training and when they returned we saddened to hear that whilst they had learned a lot of yoga postures, they did not have a firm understanding of many philosophical concepts, energetic anatomy, the practice and benefits of meditation and the history and evolution of our yoga practice, including Ayurveda that is vital to us being able to transmit the potency of this practice to transform not only our bodies and minds but our lives. More people in the world practicing yoga with more teachers are positive, however, if our teachers haven’t been students themselves for very long and are not adequately prepared in order to share the capacity of yoga to transform us beyond the shape of our physical bodies, the yoga that we continue to pass on cannot achieve a fraction of what it was designed to do by the great masters in India. Yoga is inherently therapeutic and holistic. It is a system that when understood more completely and shared in a way that is tailored to the individual needs can be extremely effective in helping people recover from injury, enhance their function and reclaim their independence. Because it has always worked at the junction of body, mind and breath all teachers should be able to help their students enhance the function of their nervous system, thought processes and the function of their physical bodies. I have seen this work for so many people that I completely transformed my clinical Physiotherapy practice in order to use Yoga primarily for any patients that I treat. transforming our whole self and our life. It is believed that when the student is ready the teacher will appear. If you are reading this then it is likely that a desire to dive deeper into your practice has already begun. 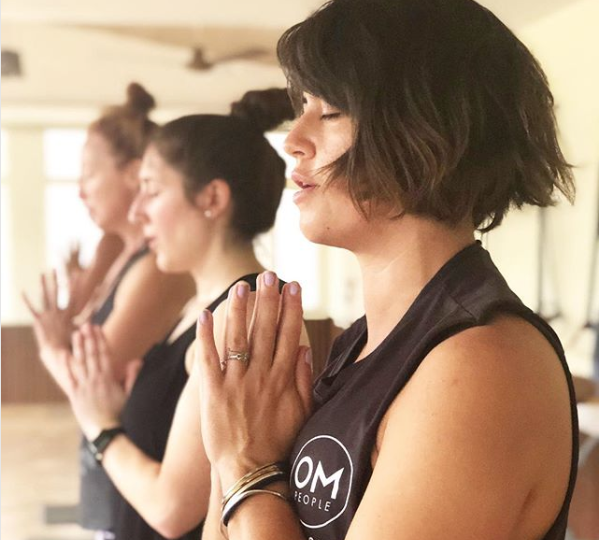 Our 200hr Yoga Teacher Training course has been created to take you beyond the limited window we have into what yoga can achieve in a 60-minute movement class. We have combined all our years of personal experience and the wisdom of our teachers into a comprehensive course which will transform you into an eternal student of yoga. From there you will have everything you need in order to begin teaching if you desire. Focus on becoming the student and yoga will reveal to you exactly how you will continue to share it with others in your life. Below is a list of what is included in our teacher training including many unique elements. It not only honours the complete system of Hatha Yoga but places it in a clear context from its historical roots and its application for modern practitioners. Together we will explore from the depths of Yoga’s origins all the way through to the business of yoga. Teaching skills shared include theming, sequencing and hands-on adjustments with a heavy focus on teaching practice.